Peugeot has begun to air a TV ads in Europe that shows its Peugeot 207 and 5008 models with scenes from the upcoming Tintin film as the backdrop. DINARD, France – The Peugeot division of PSA/Peugeot-Citroen has launched a marketing campaign that ties the Peugeot brand to Steven Spielberg's feature film "The Adventures of Tintin: Secret of the Unicorn." Peugeot has begun to air a TV commercial in Europe, northern Africa, China and Japan that shows its Peugeot 207 and 5008 models with scenes from the film as the backdrop. "Tintin's character has historical roots, and at the same time, the movie is ultra-modern," Vincent Rimbaud, CEO of Peugeot, told Automotive News Europe. "The historical and ultra-modern aspects of the film reflect Peugeot's image as a brand, with strong historical ties that are also associated with cutting-edge driving technologies. Peugeot remains grounded in history, yet it is ultra-modern." The French carmaker has also used the Tintin movie theme for a game on its Web site where participants can win prizes by finding Peugeot references in a photo. Once 50 references are found in the Web-site game, participants in France, Germany, Italy, the UK, Portugal and Spain are eligible to win a Peugeot 5008 HDi, a trip to Brussels for the European premier of the film, Tintin memorabilia and other prizes. 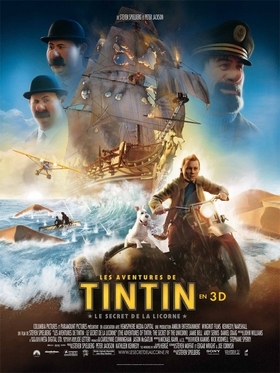 Dealerships will display cardboard cutouts of Tintin characters from the film as part of the campaign. Spielberg and his film crew will also arrive for the European premieres in Brussels and Paris of "The Adventures of Tintin: Secret of the Unicorn" in either a Peugeot 508 or 607. Peugeot did not disclose the sum it invested in the campaign, but Rimbaud said it is one of the largest in the last two years.